Theft is the unlawful taking of another person's property with the intent of permanently depriving the owner of his or her interest in that property. Theft is a serious charge and the consequences of a conviction can have long lasting effects on your life and the lives of your family. If you have been arrested or charged with the crime of theft, it is essential that you contact an experienced San Diego theft attorney as soon as possible. At the Law Offices of Michael S. Berg, our seasoned and skilled criminal defense attorneys will aggressively defend your rights. Call today for a free evaluation of your case. Grand theft is the unlawful taking of property that is valued above $400. In some circumstances, however, the value does not matter. Grand theft can be charged regardless of value if the property stolen was a firearm, an automobile, or certain types of animals. Some types of property qualify as grand theft if the value is over $100, including certain farm crops, fruits, vegetables, fish, chickens, or theft of natural resources from another person's property (such as water, oil, or minerals). Petty theft involves the stealing of property that is valued at less than $400. The most common type of petty theft is the charge of shoplifting. Consent: If one was given permission to take or use the property, they are not guilty of theft. However, the use of the property must be consistent with the scope of the consent that was given. For example, if a farmer says that you can take as many crops from his field that you could carry out in the trunk of your car, you may be guilty of theft if you show up with a dump truck. Claim of right: If one has a legal claim to the property and took it under a claim of right, they are not guilty of theft as long as they had a good faith belief that they were entitled to it. One cannot be guilty of theft if they really believed that it belonged to them. Mistake: One is not guilty of theft if they took the property by mistake, such as becoming distracted and leaving a store without paying for an item. One must have the intent to steal the property to be guilty of theft. If you have been arrested or accused of any type of theft, you are facing a serious charge. 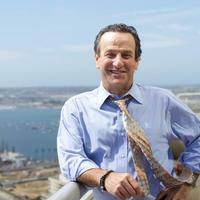 It is extremely important that you contact a San Diego theft attorney as soon as possible. At the Law Offices of Michael S. Berg, we have the experience and legal skill to provide you with the best possible defense available. We aggressively fight to win. Call us today.